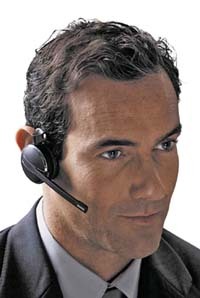 GN Netcom will launch two new cordless headsets in the Jabra range in September. Both have bases with touch screen controls; a choice of headband, neckband and ear hook; high definition sound and enhanced speech delivery; and dual microphones to cut background noise. Jabra Pro 9400 (pictured) is designed for the office and uses DECT to enable users to switch between their desk, mobile and softphone. For those often out of the office, Jabra Go 9400 has the same features but uses Bluetooth.